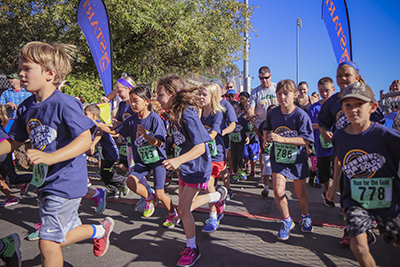 El Dorado County Students Run For The Gold! Over 200 students from across El Dorado County ran 1K/2K/5K races on Saturday, September 26, during the Run for the Gold! – a fundraising race benefitting the Boys and Girls Club Western Slope. Students in grades 1-8 traversed courses on Union Mine High School’s picturesque campus and were applauded by the audience at the finish line. Proceeds raised will be used for Boys and Girls Club Western Slope’s new building and scholarships to ensure every child has the same opportunity to attend the Club. A generous grant from Wells Fargo Bank allowed four participating schools to be chosen at random and receive a $2,500 grant. Those schools included Sutter's Mill Elementary School, Jackson Elementary School, Indian Creek Elementary School, and Mountain Creek Middle School. For more information about the Boys and Girls Club Western Slope.